Cooperation and collaboration among the organizations is cherished in this project. 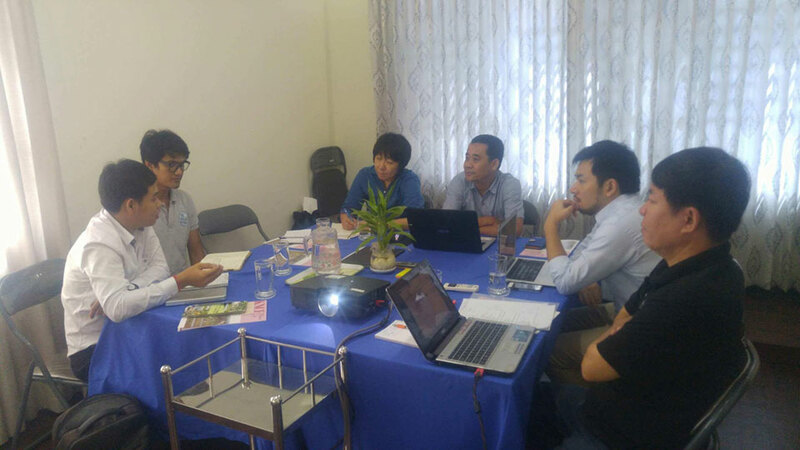 Staff of four organizations: Mlup Baitong, BirdLife International Cambodia Programme, BirdLife International Tokyo, Japan Environmental Education Forum gathered in Cambodia in early July 2018, and we discussed about possibility of further cooperation and collaboration while confirming the situation in progress. Although we had opportunities to dialogue via Skype or individual meetings, it was the first time for the four organizations to get together. Various new ideas including establishment of Eco-Club at Beoung Prek Lapouv and incorporation of the Sarus Crane movie into the environment education classes in Anlung Pring were discussed. 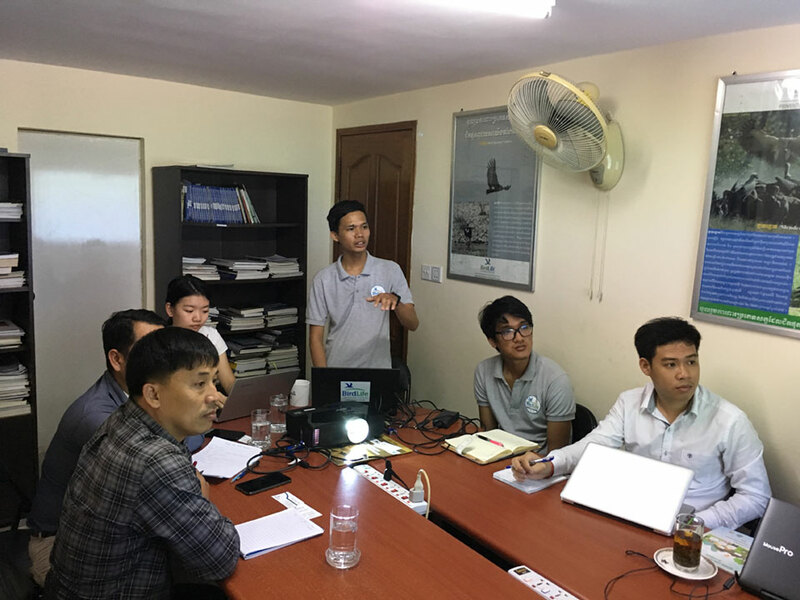 In addition, an information exchange meeting was held with staff from Department of Environment Education, Ministry of Environment in Cambodia. In this occasion, junior staff members, Lyan and Samphors made presentations to summarise and introduce their activities in the Sato Yama Umi project. 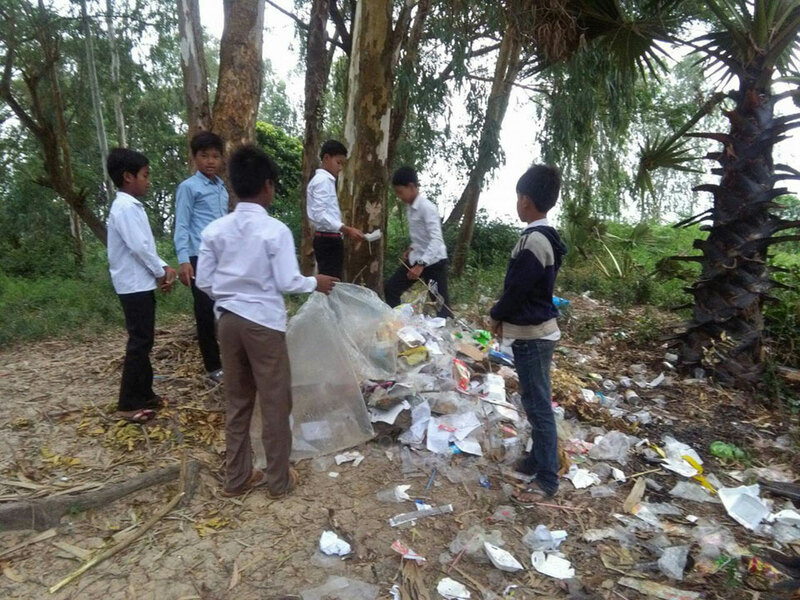 Moreover, Department of Environmental Education staffs introduced Eco-School project that has been promoted by Ministry of Environment in Cambodia. We also exchanged opinions on further development of the Sato Yama Umi project in Cambodia. Each organization has its own strength and networks. We strongly believe that the project can be developed even further, if we cooperate and collaborate, and each contribute their unique strengths to the project. 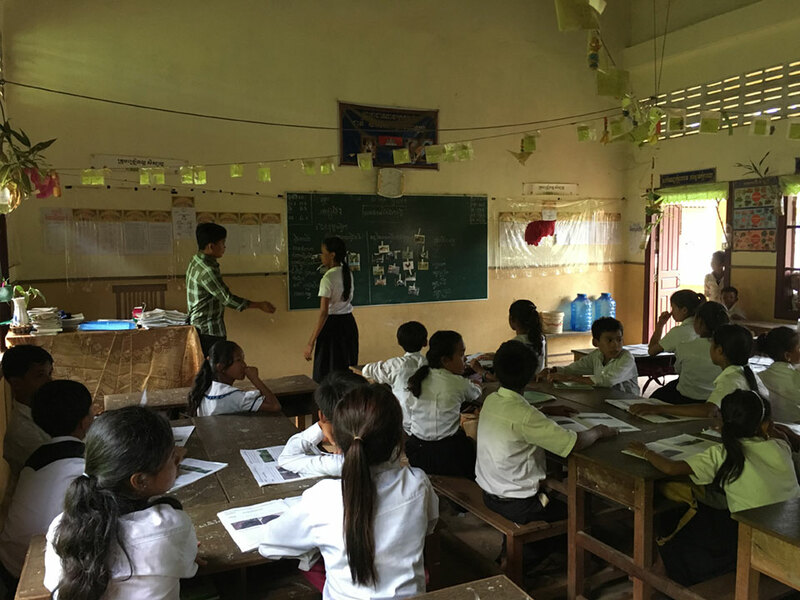 In the last three months, we were working on following up the progress of teachers from two primary schools in Beoung Prek Lapouv (BPL). Teaching materials and documents (environmental education books and materials for painting) were provided to support teaching lesson effectively. Teachers were required to write an assessment report after they finished each lesson. Observation during the lessons were conducted to identify the key challenges and address them in the upcoming third training in July. In addition, our junior staff was sent to visit local primary schools in Anlung Pring (AP) where have been supported by Mlup Baitong. Trilogy of education films: Ecosystems Service, Ecology of the Sarus Cranes, and Threats and Conservation of BPL and AP were finalized. 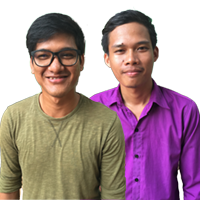 Meeting have been organized with Ministry of Environment Cambodia to get endorsement on final version of the film, and prepared a Sarus Crane film premiere. A poster for the film premiere was designed to attract people coming to the event on 29th June, 2018. A Facebook event was also developed for attracting more people to join the film premiere. To educate students and raise awareness of local people on negative impacts of pesticide and unmanaged agriculture hazardous waste, leaflets and T-shirts were created to distribute to local farmers and students. 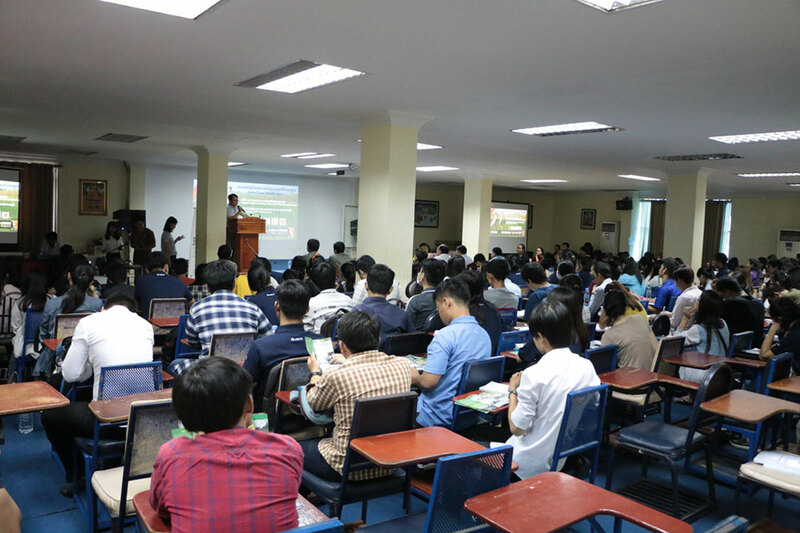 We also co-hosted a “World Migratory Bird Day” event with NatureLife of Cambodia and Ministry of Environment Cambodia. The event involved awareness parade across the villages for dissemination about impacts of uses of agriculture chemical fertilizer and pesticide to human health, wildlife and wetland. Participants were on tractors and bikes with bird signboards like Sarus Crane and other water bird species with an audio education played. In next three months, we will continue following up progress of teaching and learning progress of school teachers. We will also invite teachers from two schools in BPL to visit primary school in AP for exchanging teaching methods and experience in the third training course. Teachers in BPL want to hear lessons learned directly from the teacher in AP who personally navigated the challenges and witnessed the successes of change. We will show the Sarus Crane film at local schools and to communities as an awareness raising activity. We also designed a poster to seek university volunteered-students taking part in removing Giant Mimosa Pigra at the beginning of July 2018. University students will be selected for this activity with the local people. This is the opportunity for those selected students to be involved in site conservation activities by understanding invasive species, developing communication skills and field works. Awareness signboard for waste management will be also set up in July at AP. After the first draft of all 10 environmental education lessons, the material and guidelines for providing to junior secondary school students were prepared by the working group. The first three lessons were trialed to the demonstration class in this quarter. 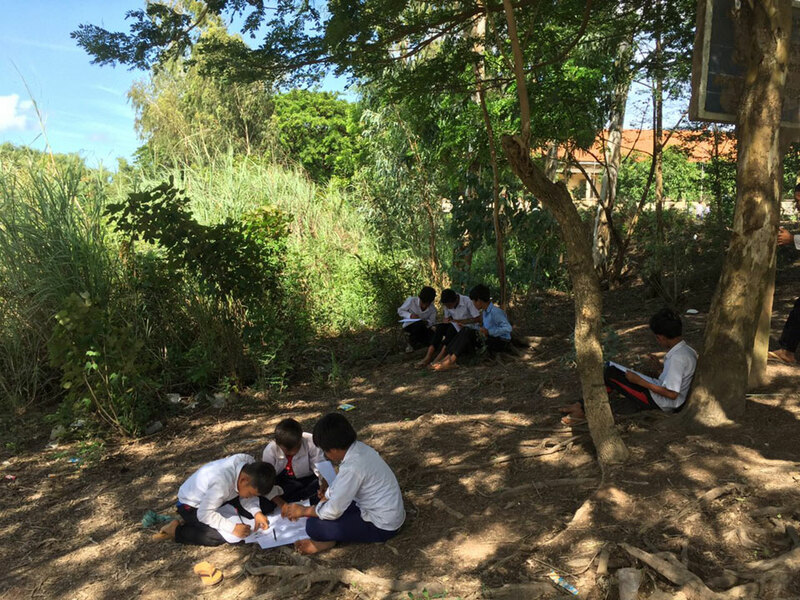 The key teachers in target primary schools have been providing further training on environmental education (lesson 5-7) to their students with the total participation of 734 students. One more eco-club has been formed in Trapeang Chhouk junior high school schools. For the next three month, Mlup Baitong & JEEF will continue to support the Working Group by referring to the first draft of environmental training material and guideline for junior secondary school. And the Mlup Baitong & JEEF has been conducting the attitude pre-surveys at the target schools which consist of teachers, students and community representative. The attitude pre-surveys result will be published. SATO YAMA UMI Project all right reserved.